Frank was named president of CSU in 2008 and has served as interim chancellor of the CSU System since February. The chancellor is the chief executive officer of the CSU System - which includes CSU, CSU-Pueblo and the CSU-Global Campus - and is tasked with working with the Board to lead the System's operations, set legislative strategy, serve as the primary spokesperson and increase engagement among alumni, donors and the business community. "Tony Frank has demonstrated that he has the vision, experience and character to lead the CSU System and its three campuses, and we are very pleased he agreed to serve in the capacity as both system chancellor and CSU campus president," Board Chair Dorothy Horrell said. "By having Tony fill these roles concurrently, we are ensuring that the CSU System has a strong and stable leadership structure focused on delivering positive results for the students we serve, the communities we touch and the state of Colorado." "The institutions of the CSU System are a powerful social and economic force in Colorado and beyond, and they are grounded in one important goal - transforming the lives of students through the power of higher education," Frank said. "I'm honored and privileged to serve as chancellor of a System with three wonderful institutions that are each aligned behind that foundational notion and that are committed to delivering on that goal and enhancing Colorado's future through teaching, research and service." "In Tony, we have a proven leader who is respected and committed to delivering educational opportunities that are high quality, affordable and accessible," Mosher said. 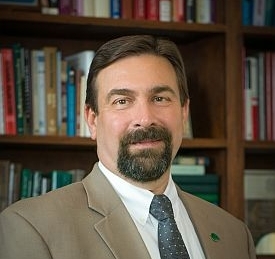 "I know we're asking a lot of him, but the Board is dedicated to making sure that appropriate resources from across the CSU System are leveraged to ensure this strategy is successful for the students we serve, our institutions and for Tony." Frank succeeds Mike Martin, who stepped down as chancellor on March 1. For many years, the position of System chancellor and president of the Fort Collins campus were combined - past CSU Presidents Phil Austin, Al Yates and Larry Penley held both titles. Joe Blake became the first sole chancellor of the System in 2009, followed by Martin. The Board of Governors of the CSU System has nine voting members, appointed by the governor and confirmed by the State Senate, and six non-voting members who are faculty and student representatives from CSU, CSU-Pueblo and the CSU-Global Campus. The board provides oversight to ensure effective management, accountability and leadership at all the CSU System universities - Fort Collins, Pueblo and the online Global Campus.